In earlier article we had discussed about WHT on Buyers credit. This article answers questions related to withholding tax on suppliers credit. USD-INR rate in favour of importer post buyers credit is taken. Buyers credit is taken by way of keeping Fixed deposit as security and now importer wishes to free cash. Importer wishes to free Non Funds based limits for other use. What is OFAC Sanctions ? The Office of Foreign Assets Control (OFAC) is an office of the Treasury Department of United States of America (US). OFAC administers and enforces economic and trade sanctions based on U.S. foreign policy and national security goals against targeted foreign countries, organizations, entities, and individuals. Regulations issued under Trading With the Enemy Act (50 U.S.C. App.§§ 1-44) or by the US President under authority delegated under the International Emergency Economic Powers Act. The OFAC sanctions programs are implemented through restrictions on imports and exports, prohibitions on financial transactions, freezing of assets, and other means. Earlier articles on Buyer’s Credit have provided details on total cost involved like, Interest cost, libor, lou charges, forwarding booking cost, arrangement fee, and others. This article provides details on how interest cost (margin) is arrived at by Indian Bank Overseas Branches or Foreign Bank. Advance payment for Imports: Buyers Credit for any amount paid as advance either part or full is not allowed as RBI Caster Circular on External Commercial Borrowing and Trade Credit. Inference has to drawn the above circular. Circular says maximum tenure allowed for buyers credit from the date of shipment is (shipped on board date) upto 360 days in case of raw material and upto 3 years in case capital goods. Any Advance Payment always done before shipment of goods. And thus not allowed. 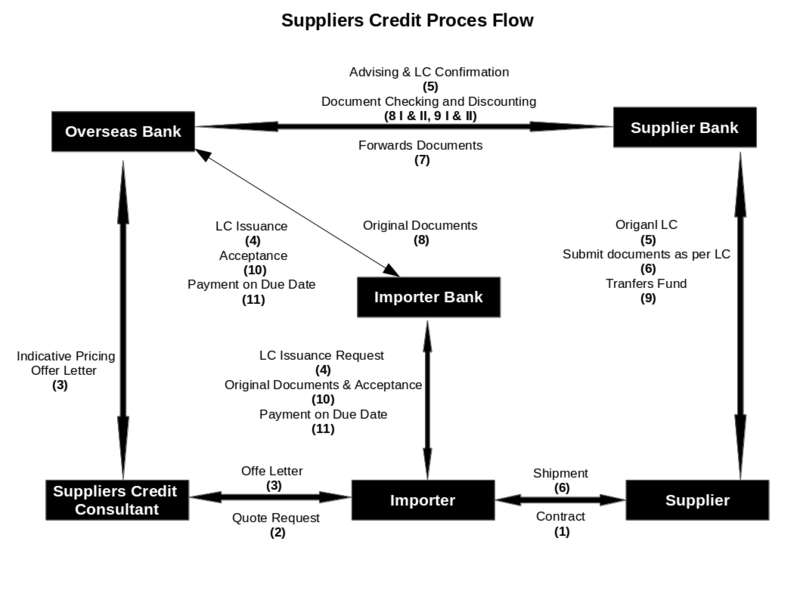 Who is Buyers Credit and Suppliers Credit Consultant ?